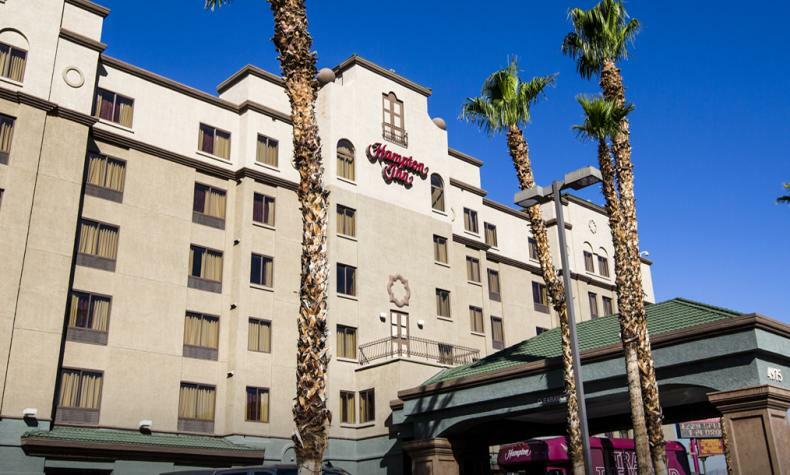 Near I-15, Hampton Inn Tropicana is wonderful for business or leisure, is family friendly, just a half mile from the excitement of the Strip, and minutes from the Airport. Complimentary shuttles are offered to the airport and the Strip. Enjoy the year-round outdoor heated pool, spa and cabanas; 24-hour fitness center; complimentary breakfast; wired and wireless internet, self-parking, and HDTVs. A prime location with budget-friendly accommodations and rewarding amenities.